Club Doncaster Foundation has the ability to bring the public closer to Doncaster Rovers, according to walking footballer Stuart. 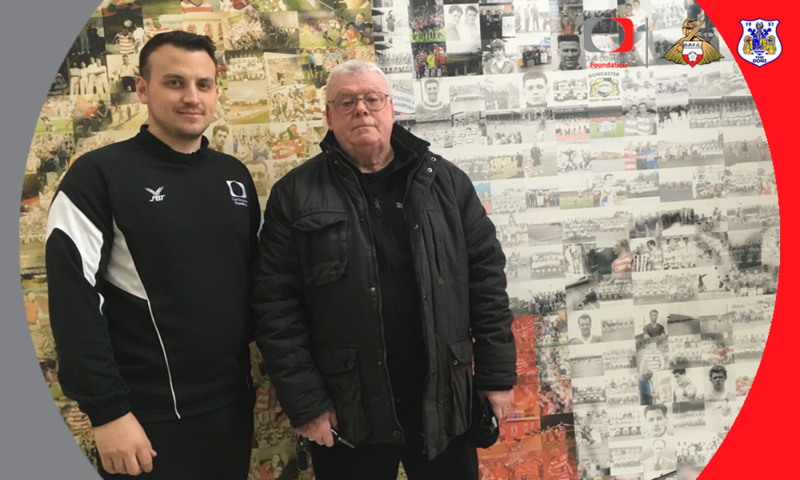 The Foundation works in partnership with Retro Rovers, a walking football group based at the Keepmoat Stadium, aimed at men over the age of 60, which has seen Stuart become closer to the club he supports. Stuart, who retired from work a few years ago, has recently taken up walking football and uses the free bike hire scheme, and insists more people should know about the work of the Foundation in this area. He said: “The entire process of joining walking football and hiring a bike has been really easy and straightforward. As soon as you get in contact with the Foundation, they accommodate you and work around your schedule. Attending two sessions a week, walking football has given Stuart a new lease of life, which is exactly what the Doncaster man claims he needed. He said: “The walking football has been fantastic for me. “It seems to be growing and growing with more teams and players coming down and enjoying themselves. It is good for when you retire because you need to do something. I don’t want to go to the gym, so this is ideal to keep my fitness up. “I get to meet like-minded people, which allows me to be more comfortable when I come down. The highlight of my week is getting to play football twice a week with the guys down at the Keepmoat. Alongside walking football, Stuart has taken advantage of the bike library available to the public, highlighting the benefit of the entire scheme. He said: “I read on the website about the bike hire scheme, which lets you hire bikes for free. “I was at the point of buying one but changed my mind. I only live around the corner from the Keepmoat Stadium in Hyde Park, so it seemed easier to just hire one and save myself the cost of getting one. “The bikes are in great condition and I know Scott personally maintains them before sending them out. Club Doncaster Foundation is now recognised as an official Yorkshire Bank Bike Library known as Rovers Bike Library. A range of more than 75 bikes are available to the public for hire including children's bikes, road bikes, mountain bikes and all the necessary equipment depending on which adventure you choose. The public can also donate unwanted bikes to Club Doncaster Foundation, which will then be fixed and modified by the specialised mechanics (dedicated volunteers) and used as part of our hire scheme to allow more people to access cycling. For more information, email scott.copeland@clubdoncasterfoundation.co.uk or call 01302 764663.